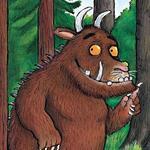 I’ve never met anyone who does not like or love the children’s book The Gruffalo by Julia Donaldson. It has been a favourite in our home for the last 8 years and my three never tire of hearing it over and over. I think I have read it so often as both a parent and a teacher that I can recite it verbatim. 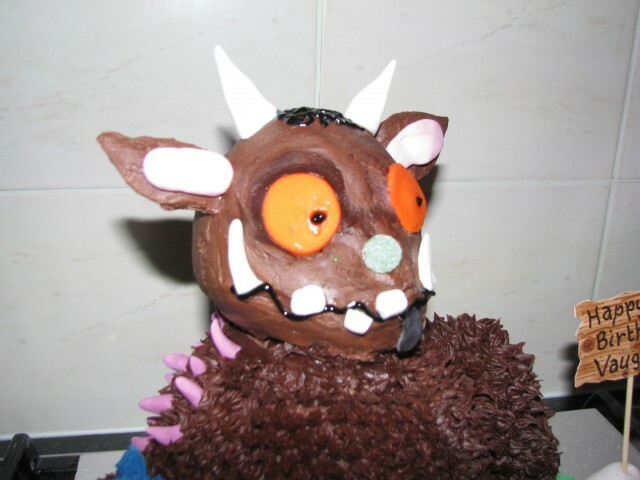 I love a themed party so when my eldest son turned 4, he was very much into The Gruffalo and asked for (read I strongly suggested he choose) a Gruffalo party. I looked online at all the party packs and decorations available and there are some fabulous ones out there, but being that I like to make things myself and to save a few pennies along the way, I created almost all of the decorations you are about to see in the pictures. 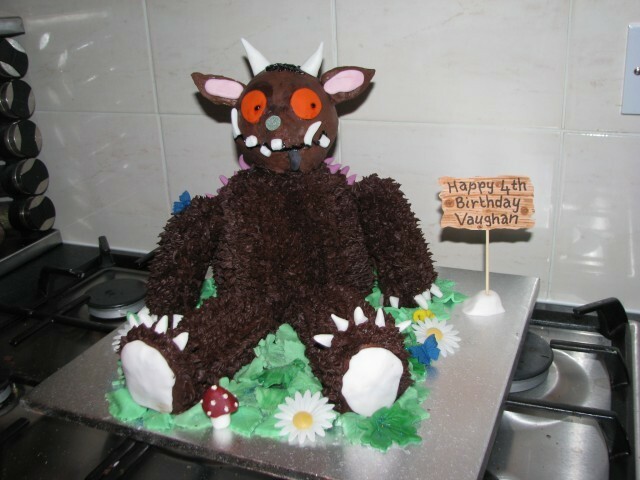 Here is the Gruffalo cake. 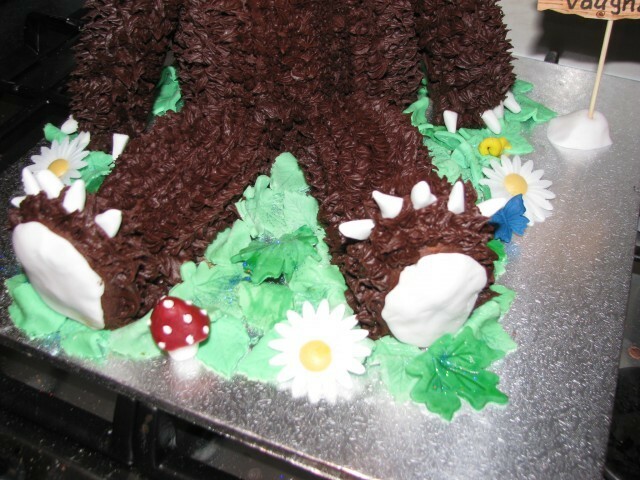 It was a chocolate cake, with chocolate icing, the Gruffalo has got to be brown, right? The head is a giant cake pop held onto the body with a wooden skewer. I used a dome shaped cake mold for the body and carved the cooled cake to the right shape. The arms and legs are small shop bought cakes (like twinkies) that I attached to the body (again with skewers) and then iced. Look out for the step by step pictures of how to assemble this cake in another post. 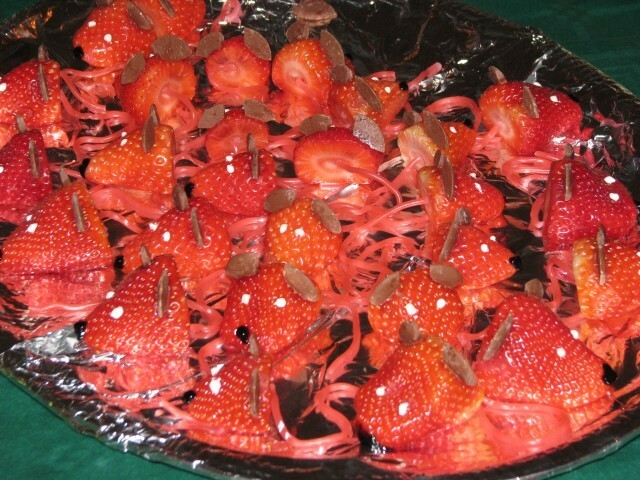 The leaves, mushrooms and bugs on the forest floor are made from fondant by hand or cutter. I let my son help me add the details after I had assembled the cake and done the icing. The purple prickles are just purple fondant spikes that we hand rolled. The signpost next to the Gruffalo is just a toothpick with a handmade sign on card which is poked into a mound of white fondant. 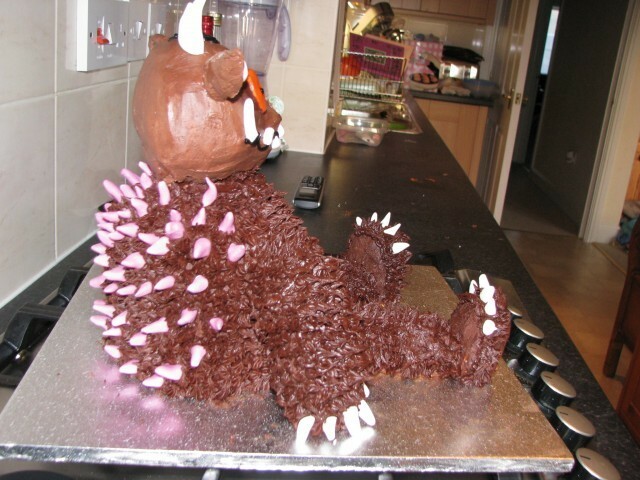 I let him put all the purple prickles onto the Gruffalo’s back. 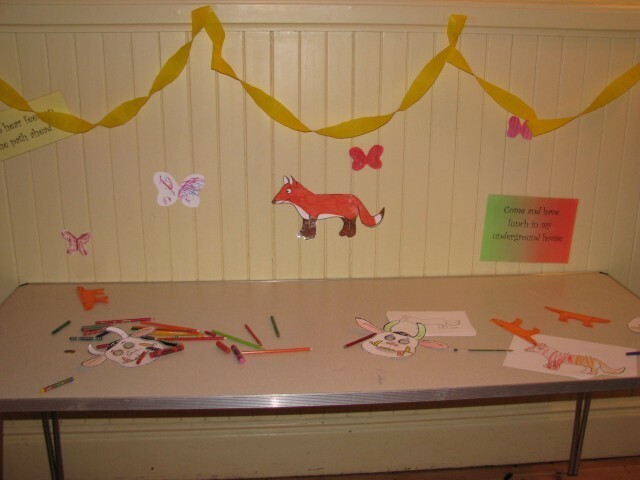 We were living in a house that was to small to accommodate mostly 3 year and 4 year olds ( we had some older children too) and their parents for the party, so I hired a local village hall and decorated it. I typed out quotes from the book and traced and coloured some of the characters to stick on the walls. It is really tricky to fill such a large space!! I prefer a home party any day. The characters were placed in the order they appear in the book so that when we went on our Gruffalo walk we could read the story out loud as we walked the outline of the hall. 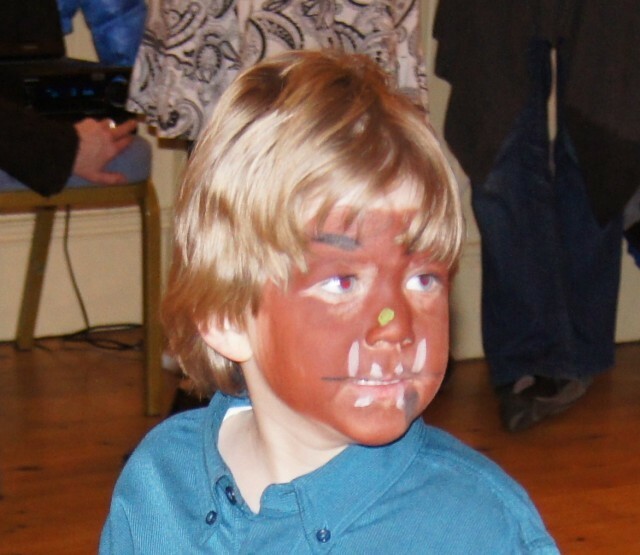 We also did face painting.the children chose a character or image from the book and we painted their faces. 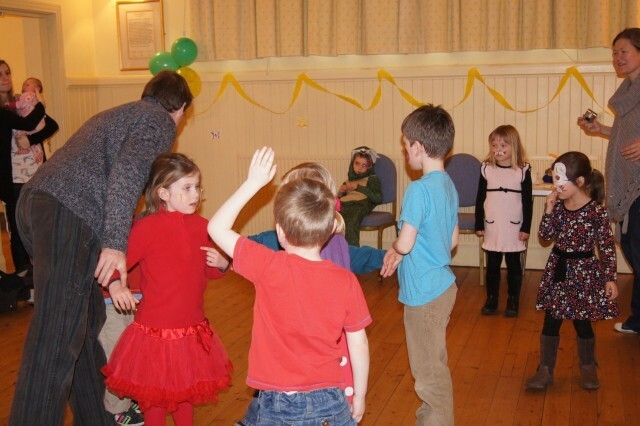 We played a version of stuck in the mud, but with the Gruffalo (the birthday boy) chasing the children. 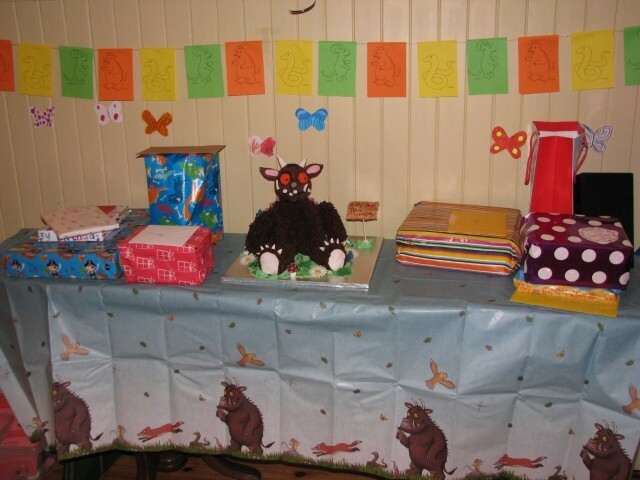 This one of the places I bought a Gruffalo themed item…the table cloth. 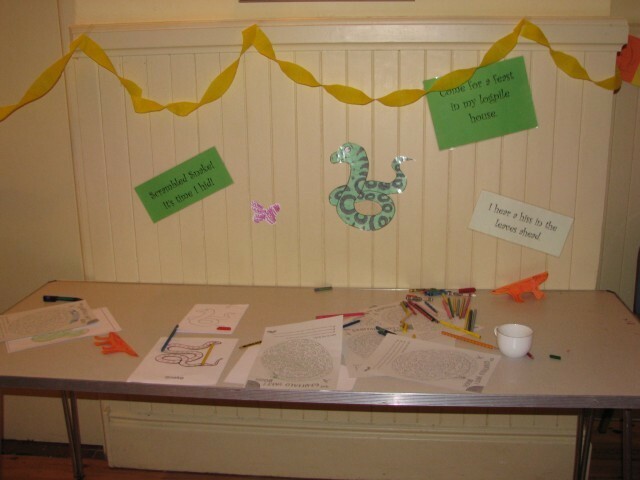 The bunting behind the table is made of colouring sheets of the various characters and printed onto coloured paper. I then stapled them along a length of string. 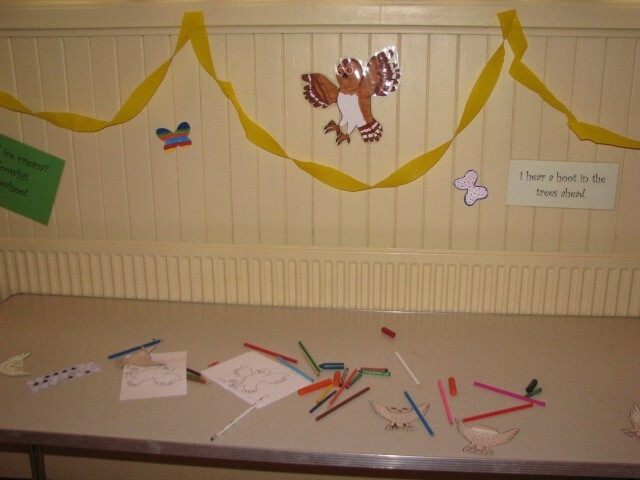 I had printed out colouring sheets, mazes, wordsearches, paper owl puppets and masks and placed them on tables around the edges of the wall. 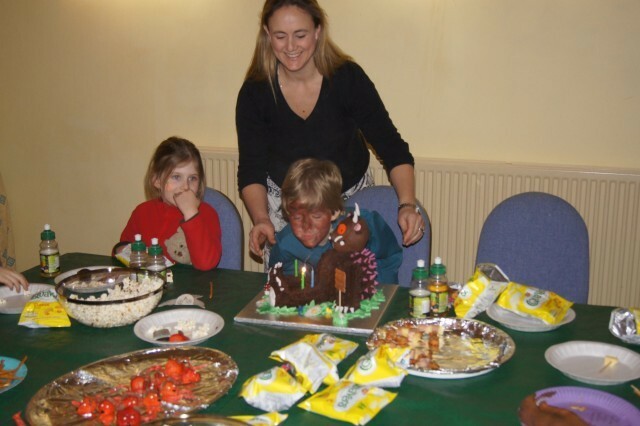 The children could stand and do the activities during the course of the party. While I was making the character decorations, I had my children make many butterflies to fill the spaces (there are a few in the book illustrations). 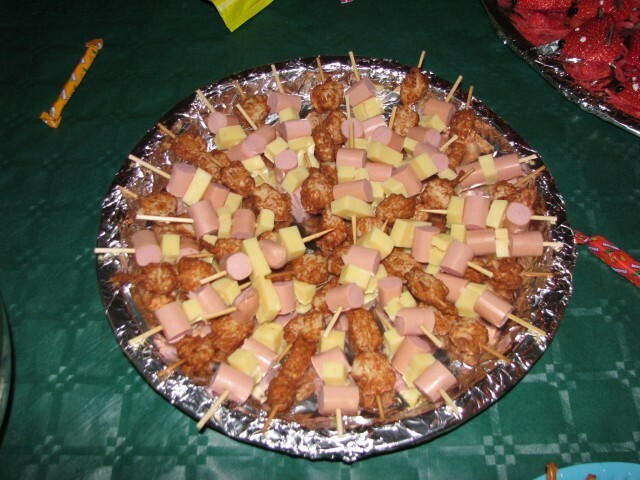 I also made the party food to suit the theme. We had Owl ice cream, strawberry mice, popcorn for scrambled snake, gummy worm sweets as the snake, skewers with mini sausages and chicken pieces as the roasted fox, and a variety of regular treats like crisps, cupcakes, sliced vegetables and finger sandwiches. As you can see, I also bought Gruffalo theme paper plates for them to eat off of. The green table cover was meant to remind the children of the forest. I am a fan of drinks in bottles (these were apple juice) instead of cups for parties with children under 6 years old…far less spills and you can write their names right onto the bottle. 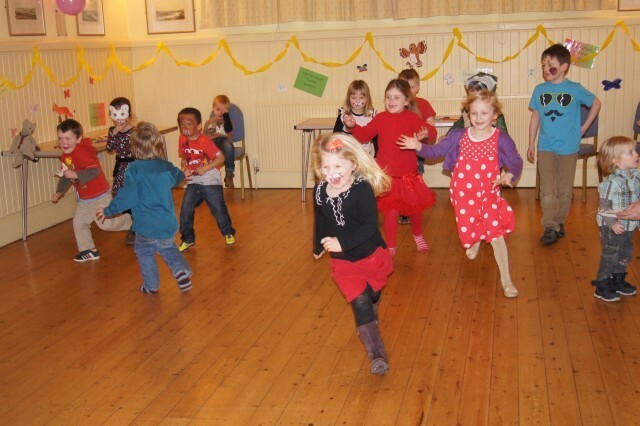 It was a fun party, with lots of energy and activity for the children. They enjoyed getting into character with the face paint and re-telling the story as they walked the hall. 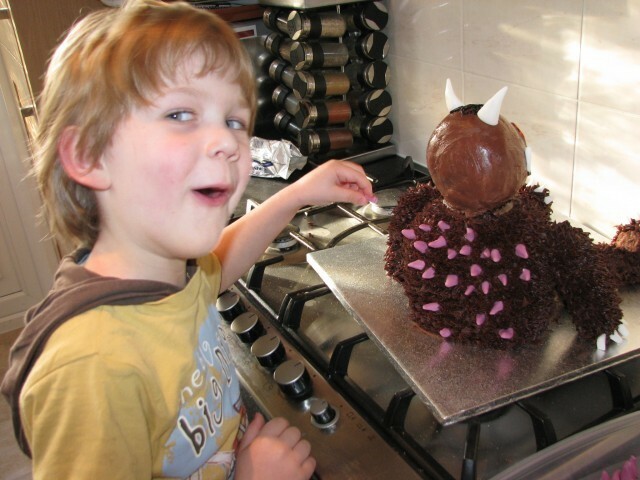 I hope this have given you some ideas for your Gruffalo Party! Thanks for taking a look. 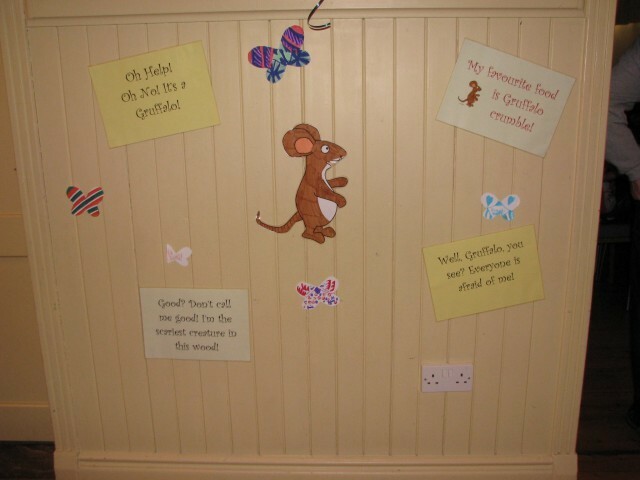 Visit the Gruffalo website for other related activities.